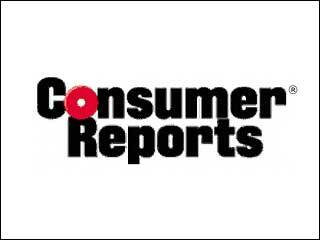 I'm not sure how many have heard of, or are aware of the group 'Consumer Reports' (CR), but for those who aren't, it is basically similar to the character played by Reese Witherspoon in the movie 'This Means War'. Essentially, they are product testers and reviewers and compare consumer products based on results from its in-house testing laboratory. 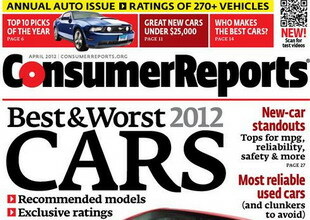 The annual Consumer Reports new car issue, is the magazine's best-seller and influences millions of automobile purchases. It would be interesting to note then, the said publication has negative comments on the 2012 Toyota Prius C in their video review that even urges car shoppers to get a used regular Prius over the new baby model. "It's a much better car overall," says reviewer Mike Quincy in the review. CR claims the Prius C appears cheaper, lackluster, hard plastic, cheap materials, dead steering and slow. This is a total contrast to what the original Prius has received, even becoming the poster boy for Gaia saving enthusiasts. Interestingly in the US Toyota sold 4,782 Prius C models, during the first month alone, outpacing the other Prius variants. The YouTube link for the review is provided below while sgCarMart's take on the car can be read here. What do you guys think are the consumer product testing group too harsh or is sgCarMart too nice? Do you own a car and would like to defend/accept the comments? Shoot out your comments below.